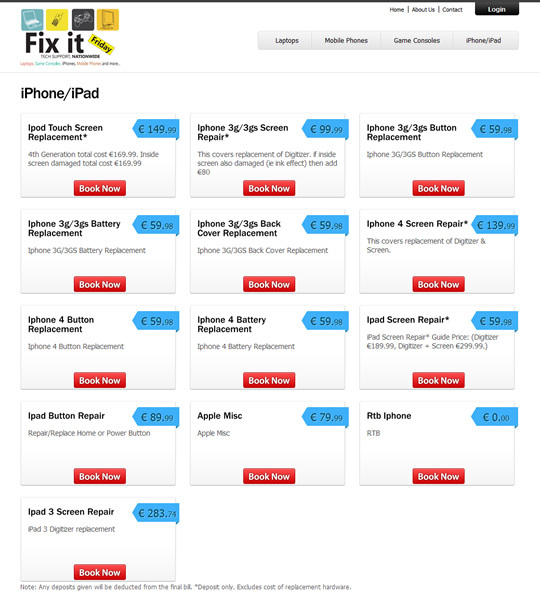 Fix it Friday, Ireland’s largest chain of technology repair outlets. 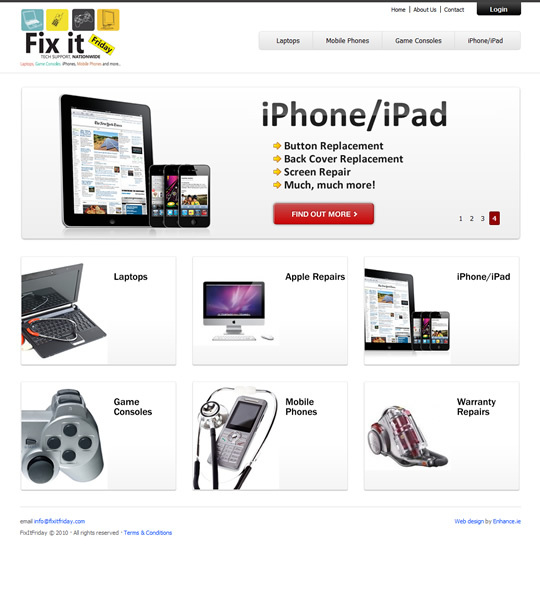 Fix it Friday fix Laptops, Mobile Phones, Games Consoles, iPhones and iPads. Enhance worked with Fix it Friday to produce an attractive website that easily displays repair prices for the most common problems found with consumer electronics. Enhance developed a robust back-end function for dealing with customer repair orders and logistics and a CMS for keeping the site up to date. Site was built to best practices using standards compliant XHTML & CSS.